Garry Westcott began performing in radio commercials at the age of seven. His stage credits include Hamlet, The Apple Tree, The Allegation, and The Age of Aquarius. His television commercial credits include Burger King and Volkswagen. 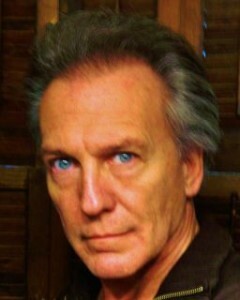 Film credits include Call to Danger, a Peter Graves made-for-TV movie; Don’t Drink the Water, a Woody Allen film adaptation of his play; F.I.S.T., a Sylvester Stallone film; as well as turns as Robert Wagner’s stand-in (Airport-The Concorde) and Louie Jourdan’s stuntman in Wes Craven’s The Swamp Thing. For ten years Garry travelled the country filming promotional spots for Clint Eastwood’s films at independently owned television stations by faithfully portraying The Man With No Name Western character and Dirty Harry. Garry’s screenplay Sticks is currently in pre-production at DreamVision Studios. Garry is a private investigator working in countersurveillance in the Commonwealth of Virginia.